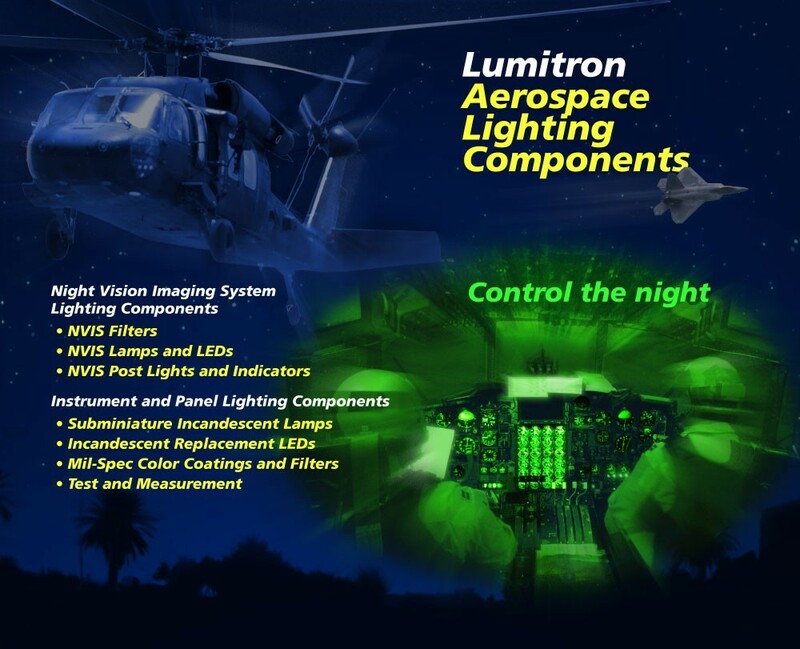 LUMITRON AEROSPACE LIGHTING COMPONENTS has been designing and supplying best-in-class subminiature incandescent filament lamps and assemblies for aerospace and defense display manufacturers for over 40 years. 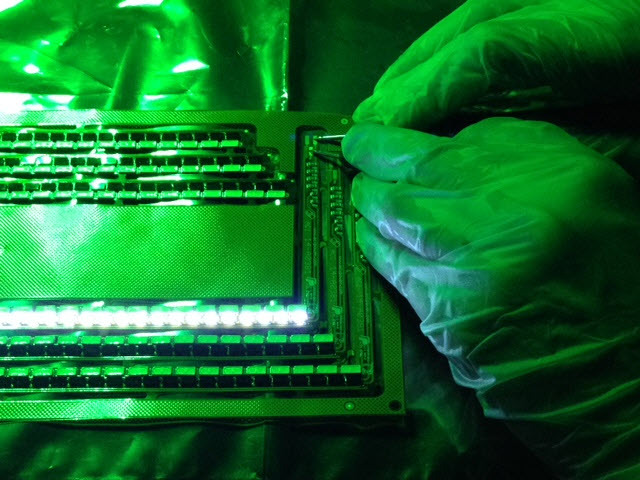 We welcomed the introduction and swift evolution of light emitting diodes (LEDs) into display technology, and they are now an integral part of our product line. We have a long history of field-proven performance. And because of our history and experience in this demanding field we can often produce off-the-shelf solutions to otherwise frustrating lighting problems. We specialize in night vision imaging system (NVIS) compliant and night vision goggle (NVG) compatible light sources and optical filters. We offer innovation and support of lighting components for illuminated displays, AMLCDs, panels, switches, keyboards, and more. Much more. Lumitron offers a large inventory of commercial and military specification-type lamps such as MS24515, MS3338, MS90451, MS90452, MS24367, MS27571, MS25237 commonly used in integrally illuminated panels and instruments. Lumitron offers drop-in LED replacement lamps such as based midget flange T-1 (MS24515, MS3338, MIL-L-6363/6), T-1 3/4 (MS25237, MIL-L-6363/8) and BA9 and BA15 miniature bayonet lamps commonly used in aerospace and defense applications. We also carry a full line of Night Vision Goggle (NVG) compatible lighting components. 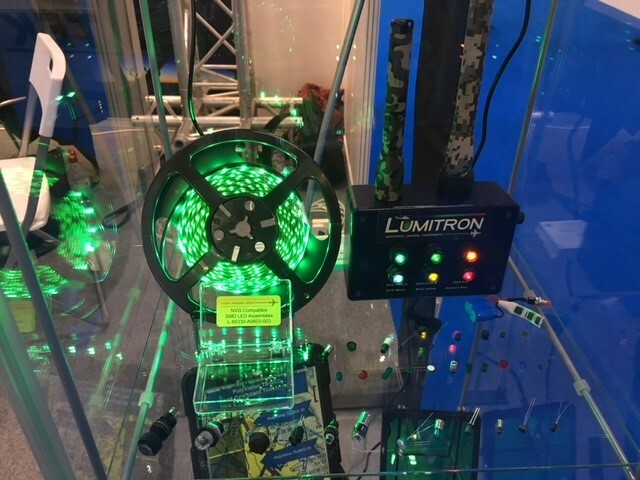 Night Vision Imaging System (NVIS) filters, lamps and LEDs in various sizes and colors, including NVIS Green A, Green B, White, Yellow and Red, which allow night vision compatibility of instruments, panels, keyboards, switches, annunciators, active matrix liquid crystal displays (AMLCD’s), and other illuminated devices. We also offer night vision supplemental devices such as our Infra Red (IR) Filter Hood that transforms a standard flashlight into a covert IR illuminator, and various NVIS compliant filter hoods for both incandescent and LED flashlights. 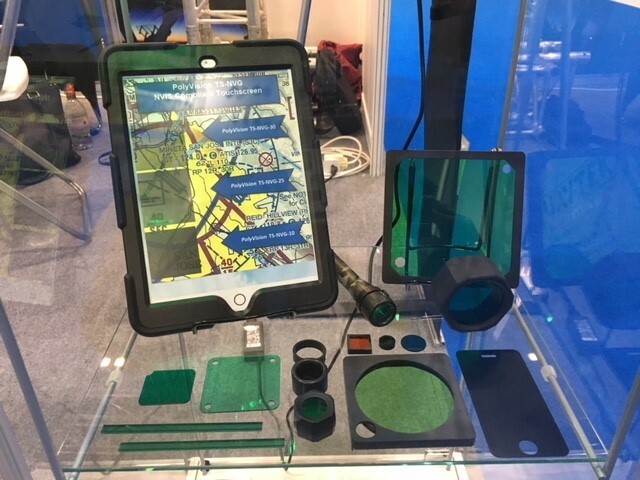 Lumitron PolyVision is an NVG Compatible – NVIS compliant high temperature polymeric (HTP) optical filter material engineered specifically for filtering various light sources for NVIS compliance. PolyVision allows for greater design flexibility and shorter lead times while meeting fully compliant NVIS lighting requirements. In addition, we offer both surface mount and lamp type Light Emitting Diodes (LEDs). 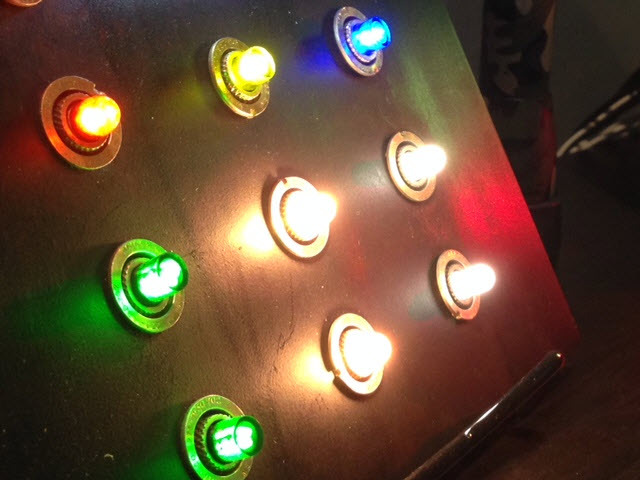 Reliable and energy efficient solid state LEDs have evolved to the point where they are now an attractive choice for many applications that were once the domain of incandescent lamps. These include indication, backlighting pushbuttons, panel overlays, AMLCD displays, and general illumination. Precision in-house machining of PolyVision optical filters, and other small parts, eliminates many of the constraints of glass fabrication or injection molding and allows for virtually infinite design flexibility with no significant tooling cost.